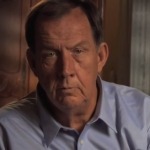 A former CBS News investigative correspondent uncovered concerns about money being paid by vaccine manufacturers to the American Academy of Pediatrics (AAP), which makes recommendations to parents and doctors about vaccines. The AAP establishes policies for vaccine schedules and informs medical personnel what is, and isn’t, a reaction or a side effect of vaccines. Can they avoid the appearance of a conflict of interest or even corruption when they accept money from the very companies who want them to endorse and push their product? 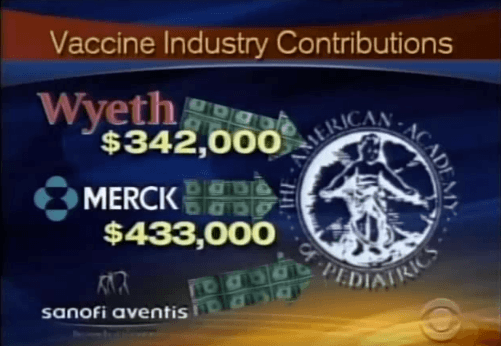 A $433,000 contribution from Merck, the same year the academy endorsed Merck’s HPV [Gardasil] vaccine – which made $1.5 billion a year in sales. Are these payoffs to AAP for favorable policies? Source: CBS News Sheryl Atkinson. How much do these kinds of donations impact the policies written for doctors regarding the vaccines? When Anita Vasquez told doctors at Texas Children’s Hospital (TCH) that she believed Aniya was sick because she had mistakenly been given the Gardasil vaccine, the doctors gave her the standard medical line, assuring her that Aniya’s symptoms couldn’t possibly be connected to the vaccine. What she didn’t know was that Texas Children’s Hospital (TCH) has a Center for Vaccine Development. TCH is “the largest pediatric hospital in the United States” and is affiliated with Baylor College of Medicine. (Source). What were the odds for the hospital that a baby would come through their doors having been injected with a vaccine that no one had been given the opportunity to observe in someone so young? Could Anita have been set up for failure the moment she told the doctors about the vaccine? The other two strains are HPV 6 & 11. They are not associated with cancer. They are reportedly associated with recurrent respiratory infections. Who is most at risk for severe outcomes from respiratory infections? This was planned from the beginning. If it wasn’t, why would HPV 6 & 11 be in a vaccine for cervical cancer? Could it be that researchers saw an opportunity to study the effects of the vaccine, containing the proprietary AASH, in an infant? Is that why the foster parents were told when Aniya was released from the hospital that they needed to bring her back every week to have blood drawn and labs run on several different things? 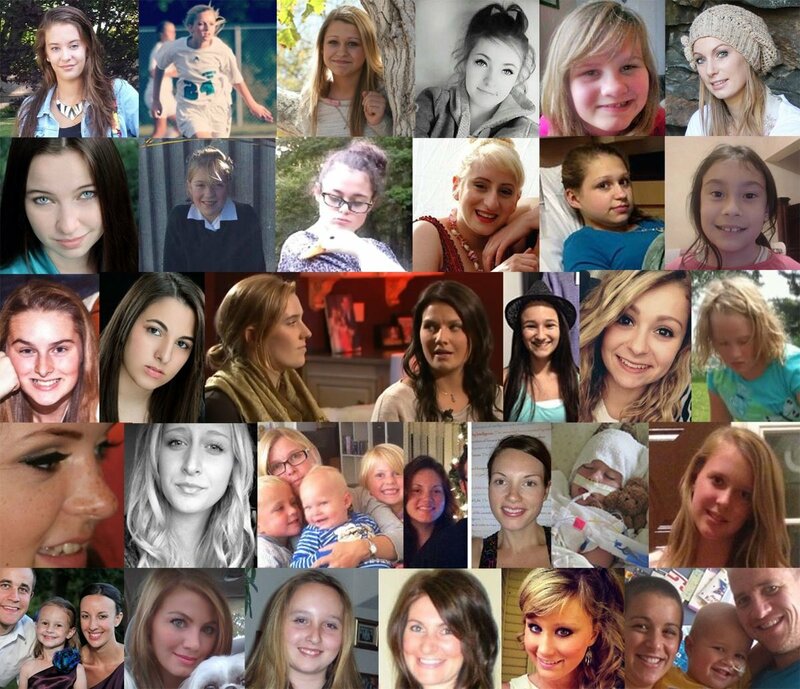 Are the vaccine researchers studying the effects of the Gardasil vaccine on her tiny body? 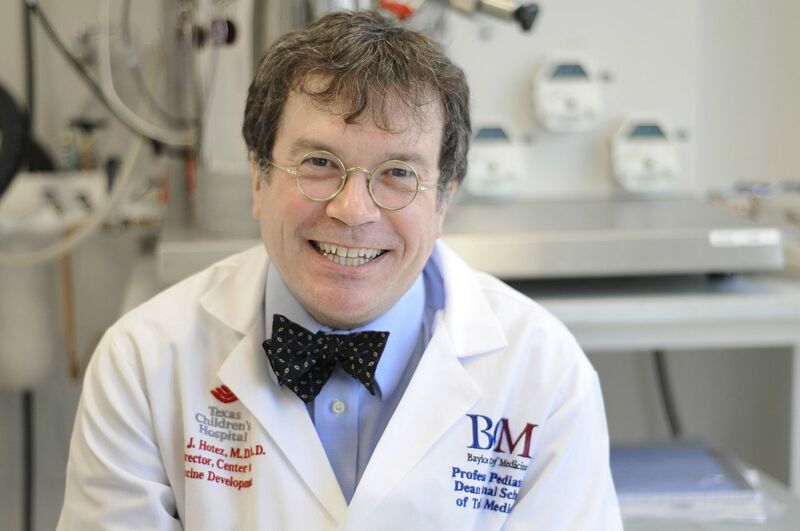 Dr. Peter Jay Hotez is a pediatrician and the founding dean of the Baylor College of Medicine’s National School of Tropical Medicine. (Source). He is also the director of the Texas Children’s Hospital Center for Vaccine Development (Source), and he is the President of the Sabin Vaccine Institute (Source). In 2017, in Scientific American magazine, Dr. Hotez called on the U.S. government and G20 nations to take steps to “snuff out” the “American anti-vaccine movement.” To “snuff out” means to “crush or kill.” Image Source. 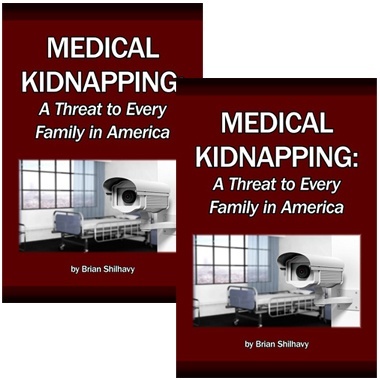 From many of his writings, it is clear that he does not hold views favorable toward parents who question vaccine safety. Anita Vasquez is a nurse by trade. At one time, she firmly believed in vaccines. But she knew that her daughter’s problems began after she got the shot that she wasn’t supposed to have. 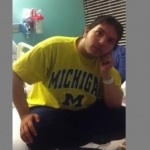 Hotez’s hospital was not the place for a mom who challenged vaccines. Merck’s MilliporeSigma life science division announced last year that they were forming a “strategic alliance” with Texas Children’s Hospital Center for Vaccine Development and Baylor College of Medicine’s Vaccine Product Development Partnership. Their goal is to “advance vaccine research and development for neglected and emerging infections.” (Source). 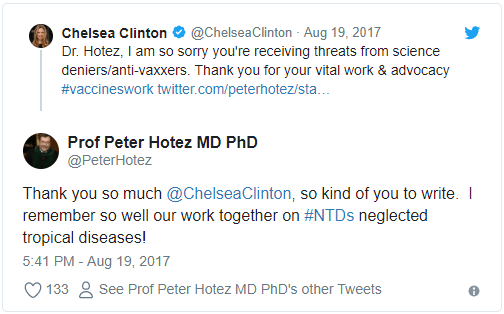 Dr. Hotez has formed an alliance with the Clinton family. In 2006, he found his way to the Clinton Global Initiative, where he co-founded the Global Network for Neglected Tropical Diseases. 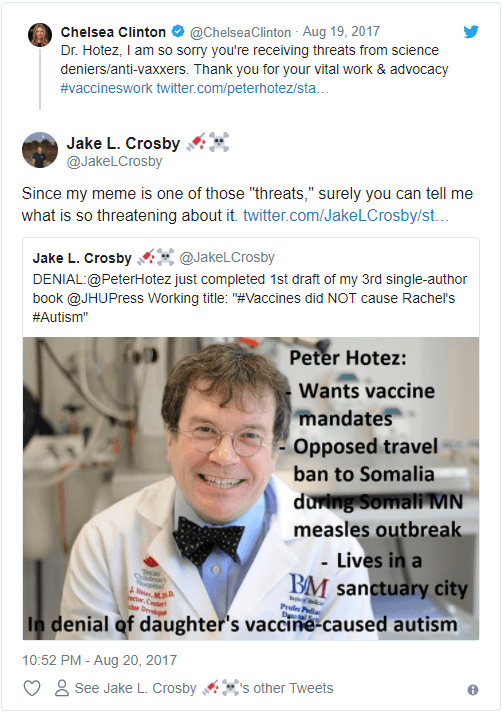 Hotez has made it clear that he would like to see vaccines mandated for everyone, stooping as low as to publicly declare that groups which advocate for parental choice in vaccines are “hate groups” who hate families and children. (See article). 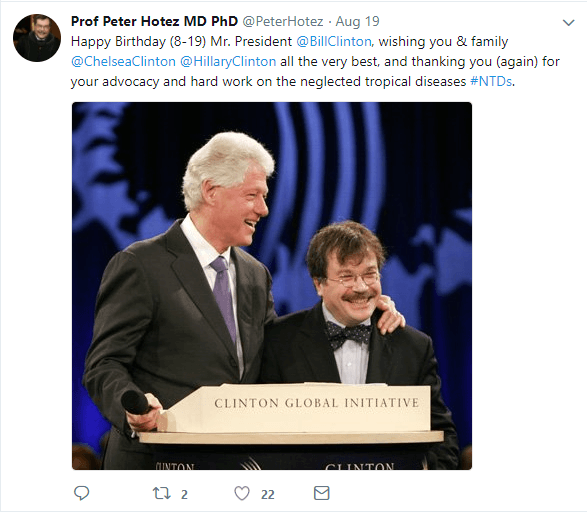 Dr. Hotez apparently has a vested interest in studying vaccines and a history of trying to squash dissent. Instead of looking after the health and well-being of baby Aniya Blu Vasquez, who wants her mommy and family, it seems that there are much bigger players involved who might see her as an experiment. 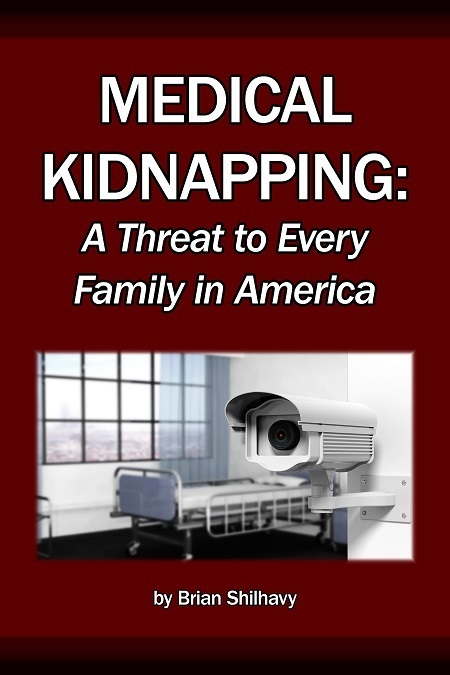 Was Aniya Vasquez taken from her family to be a medical lab rat, to study her response to the Gardasil vaccine and its adjuvant AAHS? 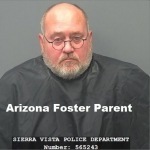 Was the accusation of her mother having Munchausen Syndrome by Proxy simply a means to get Aniya away from her family so that they could study her? 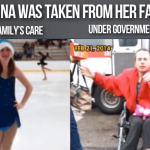 Family and friends have long believed that Aniya’s medical kidnapping was a cover-up for vaccine injury, and a way to try to silence Anita Vasquez. Could it be that the truth is much deeper and darker? The Vasquez family is not giving up. Their appeal has been accepted, and they are hopeful that a new judge will see that justice was not served in the lower court. 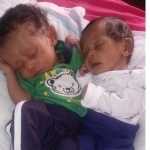 They just want Aniya home and their family reunited. The last time that Anita has seen her baby was in July. They need a miracle to bring her home. The person with whom Anita spoke at the Inspector General’s office recommended that supporters call the Office of Consumer Relations for Texas CPS about Aniya’s case. Their number is 1-800-720-7777. There is a Facebook page set up to follow Aniya’s story called Justice for Aniya. Anita says that the CPS case against them was opened fraudulently. CPS and Texas Children’s Hospital knew that there were medical reasons for her daughter’s condition, but they suppressed the evidence. Greg Abbott is the Governor of Texas. He may be reached at (512) 463-2000 or by contacting him here. Many supporters are tagging him with #GregAbbott. His Twitter page is here. Representative Geanie W. Morrison represents the Vasquez family’s district. 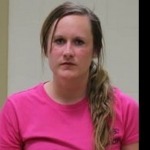 She may be reached at (512) 463-0456 or contacted here. Lois Kolkhort is the Senator for their district. She may be reached at (512) 463-0118 or contacted here.